Woeser (a.k.a. Tsering Woeser; in Chinese, Wei Se) was born in Lhasa in 1966, the daughter of a senior commander in the People's Liberation Army. When she was four years old, her family moved to Kardze (Ganzi Autonomous Prefecture) in Sichuan. In Sichuan she received a Chinese-language education, studying literature at the Southwest Institute for Nationalities (today called the Southwest University for Nationalities) in Chengdu. She worked for two years as a journalist in Kangding (Dartsedo) before moving to Lhasa in 1990. 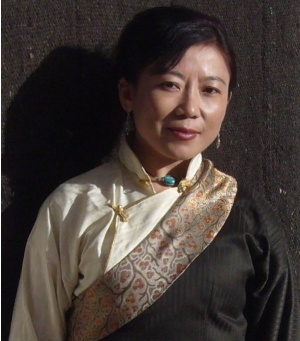 There she became an editor for the magazine Tibetan Literature and published a volume of poetry, Xizang zai shang, in 1999. As her literary reputation grew, she was given the opportunity to study at the Lu Xun Institute in Beijing. 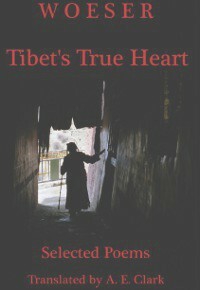 In 2003 she wrote an outspoken collection of essays, Notes on Tibet, published in Guangdong but subsequently withdrawn from circulation and officially banned on account of “political errors.” As a result, in 2004 she lost her job and moved to Beijing, where she continued to write for the Internet and had several books published on Taiwan, notably Forbidden Memory, a history of the Cultural Revolution in Tibet illustrated with photographs by her father. In 2006, when her blogs were shut down by decree, she started a blog on an overseas server. During the massive crackdown and news blackout that followed the disturbances of March 2008, her blog was disabled by cyberattacks but she continued to publish observations and commentary, of which translations can be found on China Digital Times. In 2007 Woeser received from the Norwegian Authors’ Union an award honoring Freedom of Expression. She lives in Beijing with her husband, the author Wang Lixiong. She is not free to travel abroad.